The X Factor will be housing two former Disney pop princesses at its judging table in season two! Teen idol Demi Lovato has officially joined the Fox hit reality series as the fourth and final judge, sources confirm to E! News. 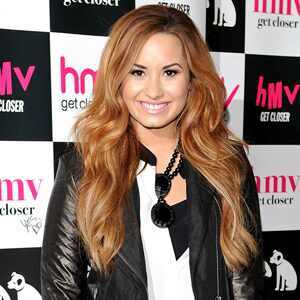 Lovato is set to join Simon Cowell, L.A. Reid and fellow newbie judge Britney Spears when the show returns in September. While Fox isn’t commenting on Lovato’s hiring, the 19-year-old singer is expected to make an appearance tomorrow at the network’s upfront presentation in New York City. Spears is also expected to appear at the event where a formal announcement about the duo joining the show will be made. News of Lovato officially joining the show was first reported by TMZ. Last week, Spears finalized her deal to join the show. As we previously reported, Spears will get $15 million for one season’s worth of work. Before Lovato signed on, The X Factor was reportedly courting fellow former Disney star Miley Cyrus, but sources told us she was never approached with an offer. Cowell had been on the hunt for two judges to replace Paula Abdul and Nicole Scherzinger since he fired them in January.